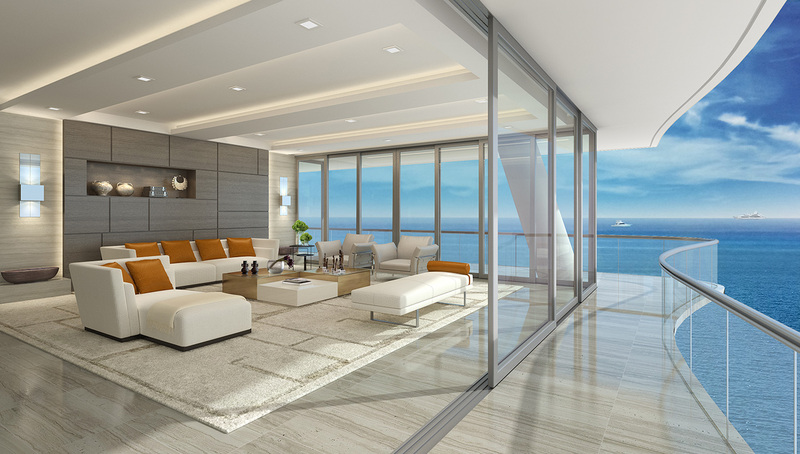 The Fendi Château Residences is a new 12-story waterfront condominium building located at 9365 Collins Avenue in Miami, Florida. 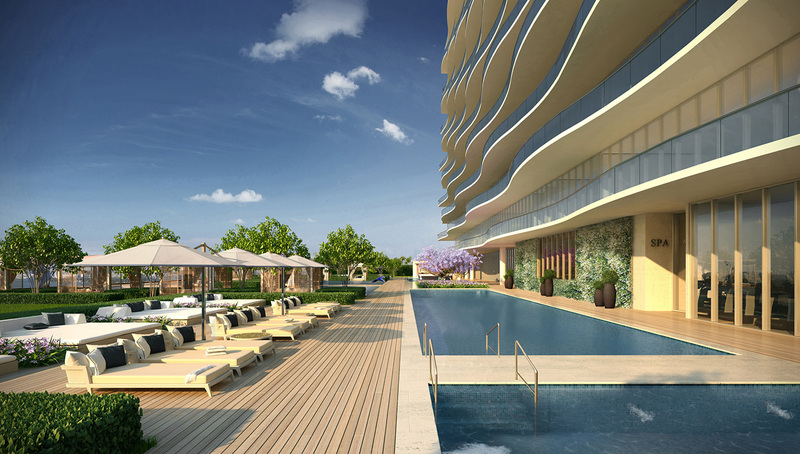 Expertly curated by the Italian megabrand and private developer Château Group, the condominium—a first of its kind—features 58 oceanfront apartments in a prime location just two blocks away from the esteemed luxury shopping center Bal Harbour Shops. 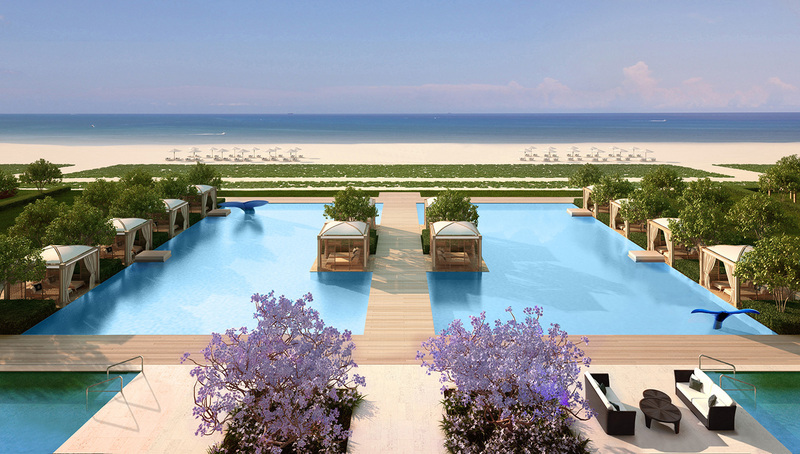 FENDI Château Residences range in size from 3,300 square feet to more than 7,000 square feet. Sales are now underway for the units, which range from $5 million to $25 million. After purchasing a residence, homeowners can begin moving in immediately. The plush apartments feature amenities that are to be expected from a brand that holds both function and opulence to the highest of standards. Every kitchen is chef’s grade, equipped with cutting edge Gaggenau appliances and custom fitted Fendi Casa cabinets. 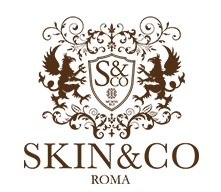 The bathrooms are adorned with Italian marble and Fendi fixtures. Residents also have access to a private cinema, spas, reflective pools, and a relaxation terrace with aromatherapy if the going gets tough. This and more is all packaged in an avant-garde glossy blue building punctuated by undulating curves that evoke the very waves of the Atlantic over which it looks. If you want the best unit, then try this two-level, $25 million penthouse. The 7,000 square foot penthouse features almost 2,000 square feet of expansive terraces, along with a rooftop pool, as well as five bedrooms and seven-and-a-half-bathrooms. Penthouse highlights include 12-foot ceilings, a media room, family room, exercise area, steam room, spacious walk-in closets and full staff quarters. The second level features an expansive terrace space, a rooftop pool, an outdoor summer kitchen, and an entertainment area overlooking the Atlantic Ocean as well as a private elevator within the residence. 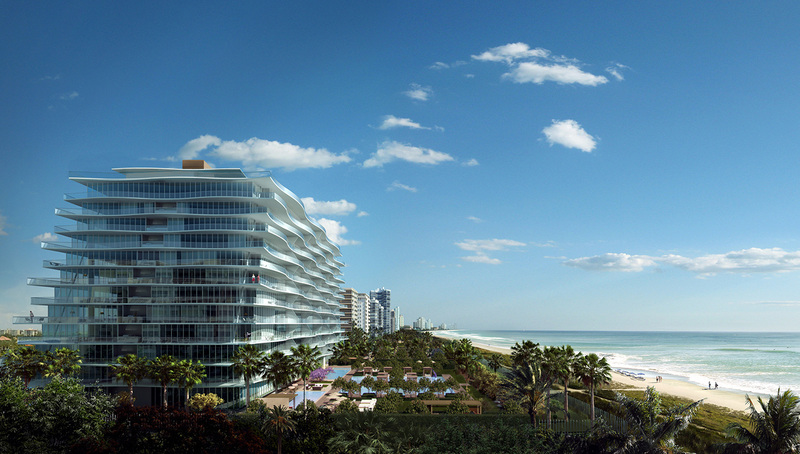 The building will include a wine cellar; library; ballroom; kid’s club; private cinema with an adjacent business center; beauty salon; state-of-the-art fitness center overlooking the ocean; bicycle storage; multiple beachfront pools with cabanas; reflective ponds; spas and Jacuzzis; and a relaxation terrace with aromatherapy. Common areas include a private restaurant with a casual area, bar and full chef’s kitchen; and an outdoor space designed for barbeques and gatherings and outdoor cabanas.